OBB Products introduces the Original “Classic” Bidet Set for the hotel industry, a perfect alternative to having an expensive permanent bidet fixture in each suite. The Classic Bidet Set can be placed into every bathroom, made available upon request, or it could be part of your Welcome Package as a take-home gift. With the world getting smaller, many clients come from countries and cultures where water cleansing is readily used. 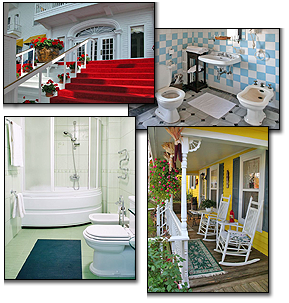 Having the Classic Bidet Set available is a nice way to let your customers know that you care and are aware of the international traveler’s needs and customs, regardless of your hotel/motel size or rating. The Classic is an inexpensive way to make your guests feel more at home. 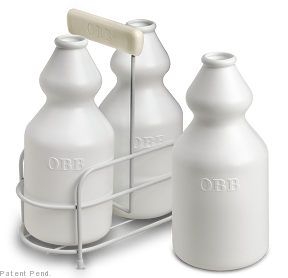 The OBB Original “Classic” Bidet Set contains two ergonomic bottles, specifically designed for water cleansing, and a metal floor tray. The set comes in a wafer sealed white box. We can handle the printing and design for custom packaging, and we can mold your business name or logo on the tray handle. Please contact our Sales department using the Contact Us page with questions or to receive additional information.